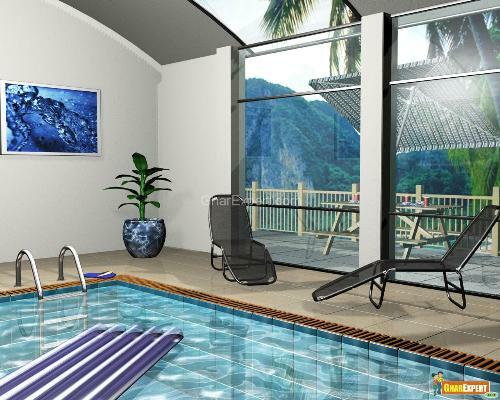 Swimming pool filter is an integral part of the swimming pool. Pool filter removes the dust, dirt particles and smallest debris and keeps your swimming pool clean and healthy. Really, it is a very confusing task to select a pool filter. Sand filters look like large balls. Sand is the oldest and most popular method of filtration for swimming pools. Sand filters are made of special graded sand. The particles of dirt and debris collect on the top of the filter or in the sand bed as the water passes from the top of the filter to the bottom. The filter needs to be cleaned on a normal basis by simply reversing the water flow through the sand once in a week during swimming season. It is referred as backwashing the filter. Sand filters cost less than cartridge filters. Cartridge filters are better than sand filters. These filters are made of polyester so that it can give a superfine filtering surface. Water passes though a filter material and the filter captures the debris. These filters have to be cleaned only once or twice a season. They work for 5 or more years as you touch them less frequently. These filters put less pressure on the pump therefore you get more flow. These filters are economically less maintenance filters. Diatomaceous earth filters are best for filtration for swimming pools. It removes the smallest dirt particle. These filters look like cartridge filters but grids are packed with DE filters. DE filter is containing porous (full of pores) powder with microscopic openings. DE filters are better than sand and cartridge filters. They are most expensive than sand and cartridge filters. Backwashing is required to clean this filter. During backwashing, the flow of water is reversed by the system. Clean water cleanses the filter and dirty water is drained from the system. If you want bullet proof filter, then go for sand filter. If you prefer low maintenance, then opt for cartridge filter. If you want cleanest water, then choose DE filter. Note: Always take at least one size larger than your requirement you can afford. Size matters than type while choosing the filter.